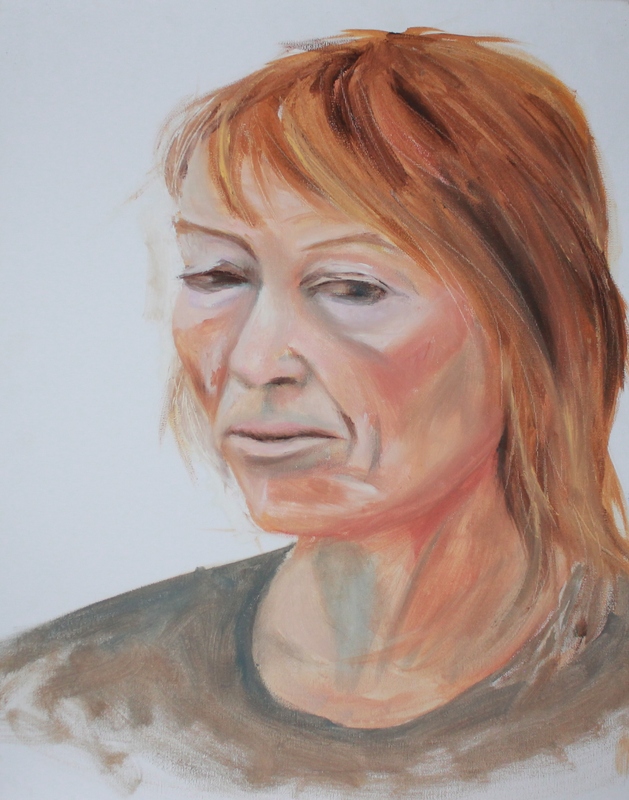 Workshop with a life model, working with flesh tones. The model had a very warm complexion. Difficulty was introduced as time was restricted to a fairly short time and it was not something that could be built up due to this. Although unrefined, I did achieve a likeness to the model.